Kujou Mikoto is the main female character of Last Game. She grew up in a single parent family, since her father died when she was young. Ever since she met Yanagi in primary school, she has defeated him in both academics and sports. For the first time, Yanagi tasted the feeling of defeat. 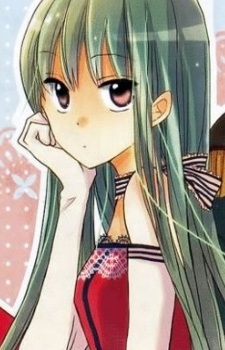 Kujou had no friends for a long time, though she is now friends with Yanagi Naoto, Fujimoto Shiori, Souma Kei and to some extent Tachibana Momoka.